Over time, the earlobes can become elongated and take on an aged appearance, which can ultimately have an effect on your entire facial aesthetic. The fact is, the earlobes are just as prone to exhibiting signs of the natural aging process as facial areas such as the eyes and cheeks. A procedure known as the earlobe lift, available from board-certified plastic surgeon Semira Bayati, MD can rejuvenate the earlobes and give them a smoother, more contoured, and more youthful appearance. Ready to Schedule Your Consultation?Contact Us Today! The earlobes often lose collagen and elasticity as we age, which can lead to a sagging and even wrinkled appearance. In an outpatient procedure that usually requires only local anesthesia, Dr. Bayati will remove a small amount of excess tissue from the earlobes, and then reshape the remaining skin for a firmer and more contoured appearance. The results can provide long-lasting rejuvenation to the earlobes and diminish what may be noticeable signs of age affecting the ears. 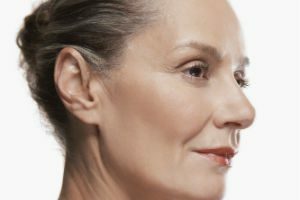 In some cases, non-invasive dermal fillers may be beneficial in renewing the appearance of the earlobes without the need for surgery. Although the results from injectable fillers will not last forever, they can often be maintained with follow-up treatments. If you would like more information on earlobe lift procedures, or if you would like to schedule a consultation with Dr. Bayati, please contact us today.